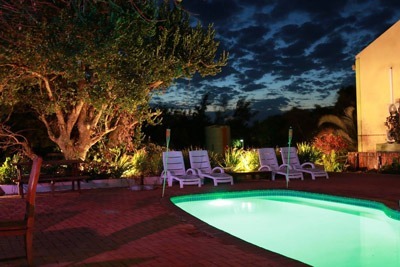 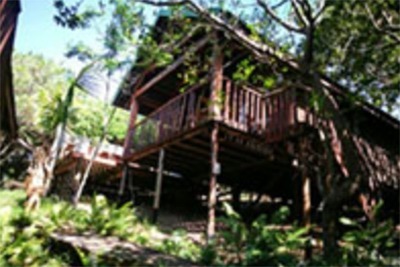 Sky Island resort is situated in the beautiful Ponta Malongane district. 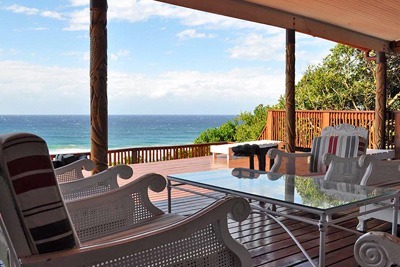 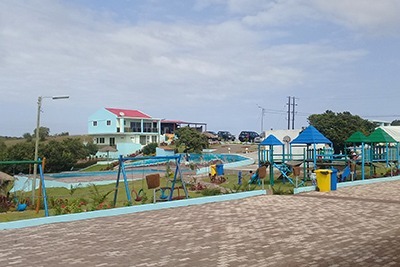 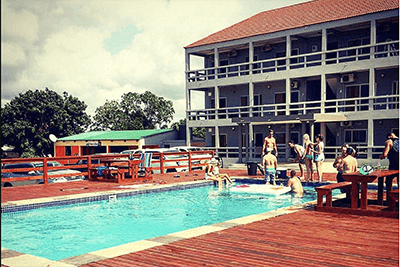 Located right above the Ponta Malongane bay with beautiful views of the turquoise Mozambique ocean, there is a foot path that leads directly down to the main beach and Dive Centre where you can book trips to go diving, swim with Dolphins and go whale watching. 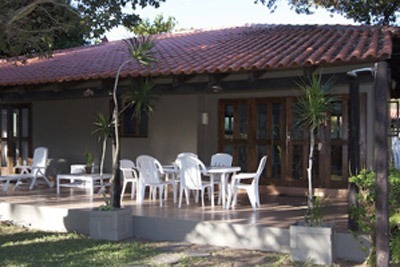 We offer paragliding, nature trails, archery and board games. 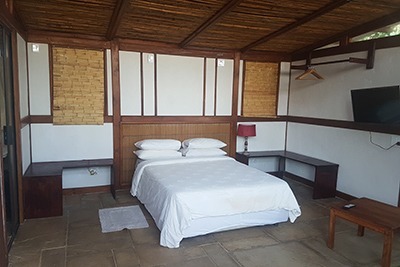 We have a selection of open plan oriental style chalets all of which have just recently been tastefully built and furnished with luxury beds and linen for a very comfortable stay. 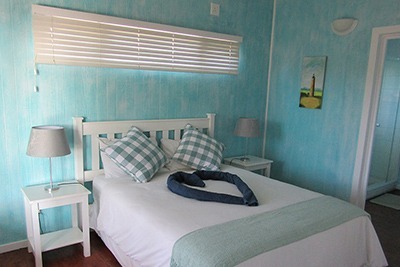 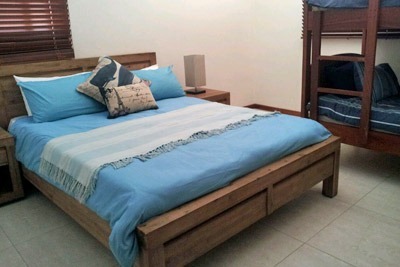 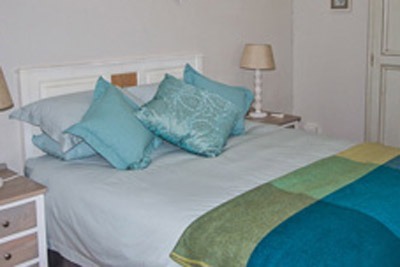 Our chalets are equipped with neat kitchenettes, double bed, sleeper couch and on-suite bathroom. 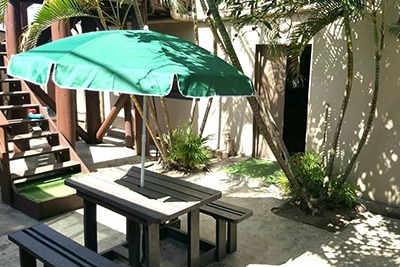 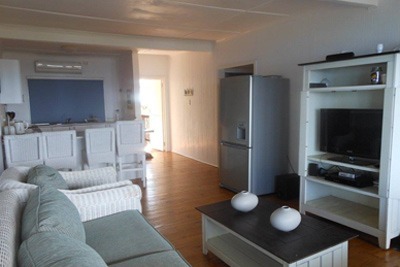 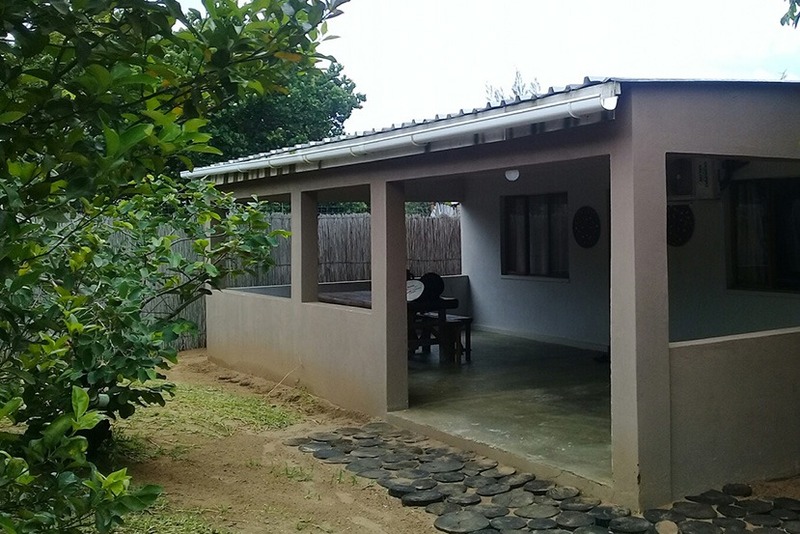 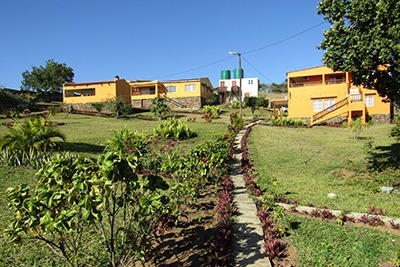 The units are air conditioned and has tv (no dstv, so bring flash drive or hard drive with series/movies) and can sleep up to 3 adults or 2 adults and 2 children in the open plan unit. 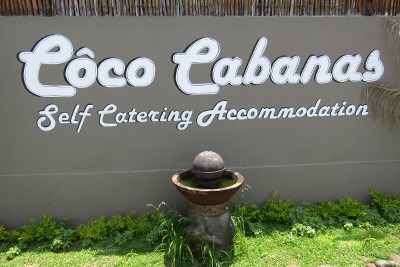 If you don’t feel like cooking, there is also a fantastic restaurant onsite.